Does the LP Have a Future? 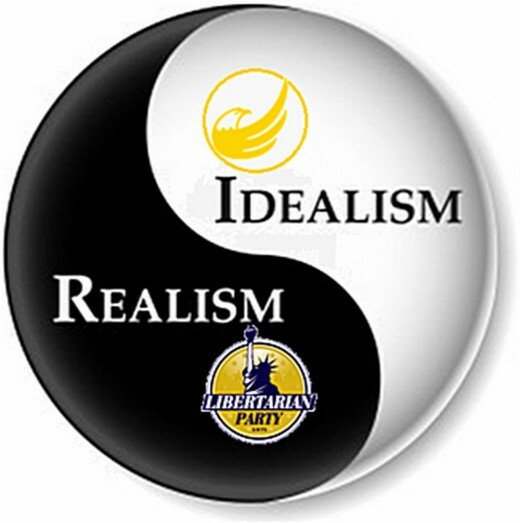 The LP needs both realism and idealism to survive. Trump won because he wasn’t “presidential;” Hillary lost because of her blatant hubris; Johnson did marginally better than 2012 because he became even less Libertarian and more Republican. Bad move. The Libertarian Party used to position itself as the alternative to the establishment parties but became more establishment Republican just as people were rejecting both establishment parties. The Libertarian Party has long believed it couldn’t get any political traction being libertarian so it decided to become Libertarian-Leaning Republican. So where has that gotten them? Most non-libertarians have come to think that libertarianism is just another “wing” of the Republican Party along with Conservatives, Traditionalists, Fundamentalist Christians, Moderates and Neocons. The LP tried this approach because they used to run unknown philosophical libertarians for President and never got anywhere without a multi-billionaire on the ballot. In the process of keeping their purity they captured few votes but in the process of turning the Party over to “Republican Lite Libertarians” they’ve lost their moral compass. So why can’t the Libertarian Party be both? Why can’t the LP find candidates who are both known knowledgeable libertarians and known knowledgeable politicians? If the “Big Lie Technique” worked so superbly – “If you repeat a lie often enough, people will believe it, and you will even come to believe it yourself” – why can’t libertarians take this infamous quote attributed to Adolf Hitler's Propaganda Minister Joseph Goebbels and turn it into a positive? Ron Paul proved that the “Big Truth Technique” could work. Paul was the closest thing to a “known and knowledgeable” libertarian the LP has ever had. Year after year he kept pounding away with the Big Truth until, as a Republican, he nearly won that party’s nomination for President – and would have except for The Establishment’s dirty tricks. Clearly in politics, for Ron Paul and for Libertarian Party candidates in general, the dirtiest trick of all is telling the truth, over and over again. It’s time for both partyarchs and non-political libertarians to at least imagine what such a candidate might sound like and consider what the consequences might be. Media: Many libertarians are anarchists who want to do away with government. What is your position on that? LP: While we respect all libertarians’ views the Libertarian Party’s position is very clearly stated as “Maximum Freedom, Minimum Government.” Since governments have a monopoly on power the only justification for any government is to protect its citizens from coercion, intimidation and fraud. Anything beyond that is the act of a criminal organization and all those participating in such organizations should be treated like criminals. Media: But what about helping the poor and the elderly and the permanently disabled? Are you against social welfare programs? LP: Libertarians are absolutely in favor of every beneficial, effective, compassionate welfare program that free citizens can conceive of, and once all social welfare programs are returned to the private sector where they belong and where they all originally came from their will be a massive outpouring of mutual aid to benefit everyone in need. Recent sources show that about 75% of social welfare tax dollars go into the pockets of the bureaucrats and civil servants who run the programs while roughly 75% of private donations go to the people who actually need the help. That is libertarian compassion at its finest! Media: That sounds a lot like what Libertarians claim, that you agree with liberals on social issues and conservatives on fiscal issues. LP: Actually, you have it backwards. We are happy that liberals agree with us on social issues but they just need to stop using government’s monopoly power to steal from some in order to give to others. There’s nothing compassionate about doing that. And we’re glad that conservatives agree that they should have more control over their own money but they need to stop calling today’s crony capitalism the “free market” and international trade agreements “free trade.” We don’t have free markets or free trade, we have a statist, crony, corporatist, government-regulated form of capitalism that rejects open competition while extracting favors, protections, special interest legislation and corporate welfare from our corrupt politicians. That’s why we must have separation of state and economy in the same way, and for the same reason, that we have separation of state and religion. Media: You say they both agree with you but don’t your candidates pull more votes away from Republicans than Democrats? LP: We see it just the opposite. They are the spoilers. Republicans and Democrats are mirror images of each other. They both pull votes away from the Libertarian Party’s rational and humane positions that every thinking person should understand and embrace. Both freedom and wealth, once lost to their rulers are never given back without strings attached that always benefit the rulers. Media: Your foreign policy seems to be all about open borders and isolationism. LP: Open borders are impossible until the welfare state is abolished, all personal income is protected and property is privately owned, either individually or collectively. Libertarians are not and have never been isolationists. We fully understand the difference between military interventionism and national defense. Actual defense spending is a fraction of “military spending” and must eventually be funded through voluntary means. But that’s for the future. Remember, the Libertarian Party means maximizing everyone’s freedom by minimizing everyone’s victimization by government coercion. Media: While Republicans don’t seem to offer an overall vision progressive Democrats advocate “Social Justice” through their concept of the social contract. What about Libertarians? LP: Progressives have a social contract with themselves, not with everyone. It consists of using government compulsion to forcibly redistribute money that isn’t theirs from people they don’t like into the pockets of people they do like. It’s a forced equality that goes against nature but doesn’t go against their own elitist nature. Libertarians have a better Social Contract. It’s called the Non-Aggression Principle against coercion, intimidation and fraud while retaining the right to use defensive force against coercive force. Their “Social contract” of robbing from some and giving the loot to others is immoral, dishonest and heartless. There’s no “justice for all” in their social justice. Media: Where do Libertarians stand on Climate Change? LP: There are two different kinds of climate change. There is scientific climate change and political climate change. Understanding the difference is simple: Any thing that has become politicized ceases to be about that thing and becomes all about the politics. Scientific climate change is a fact. The earth has gone from glacial ice ages to tropical ages to everything in between, with no help from human activity by the way. But everything we talk about today is politicized climate change. While it’s likely true that some big corporations subsidize so-called “climate change denialists” it’s just as true that virtually every scientific institution that studies climate change is funded by federal tax money. This money taints the science to the point that many believers in human-caused climate change can be called “reality denialists.” We will never know the truth until we have full separation of science and government. Every change to Reality begins with Idealism: We need both, thinkers and doers, together and separately, each in their own place and time. Media: Can libertarians ever really win the hearts and minds of voters? LP: Yes, because we are the only people who offer everyone an honest, moral and compassionate way of life. The libertarian Non-aggression Principle is against coercion, intimidation and fraud no matter where it comes from and that includes government. Everyone has an absolute right to help everyone else who needs help with no hindrance from government, and the American people have a long and illustrious history of helping one another through compassionate voluntaryism. Everyone should remember this observation attributed to George Washington: “Government is not reason, it is not eloquence – it is force! Like fire, it is a dangerous servant, and a fearful master; never for a moment should it be left to irresponsible action.” Libertarians take this to heart and it’s why we insist on individual freedom and personal responsibility with the right to use force only in defense against initiated force. LP: With the 2016 election we’ve moved into a post-establishment political era and the Libertarian Party is the very definition of post-establishment. 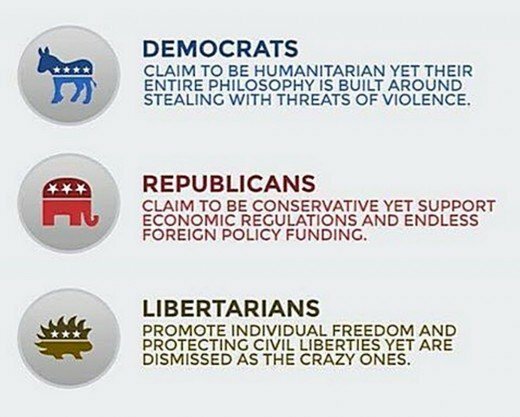 All libertarians will continue to offer their inspiring philosophy until people catch up with this new political reality. That’s when Libertarians will become politically successful and begin taking back everyone’s lives from the clutches of the state. From June 3, 2016: Did the LP Succeed or Fail? 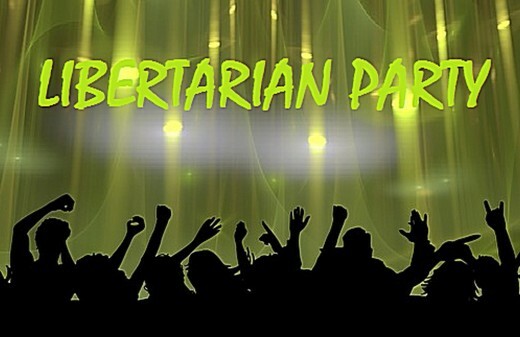 Do Millennials Really Support Libertarians and the Libertarian Party? I would think that Peterson passes the knowledgeable test for libertarians but I seriously doubt that he passes the "known" test for voters. I think the benchmark for many years to come will be Ron Paul. He was more libertarian than any elected politician (remember he also ran for president on the LP ticket in 1988) and he also became the most widely known. He's what I mean by both Knowledgeable and known. I see no one else even close on the radar at this point; Rand is known but not particularly libertarian. Garry, your analysis was pretty close to being dead on. The LP should have picked Austin Peterson who could have done a much better job of explaining what Libertarians are all about. Considering the media coverage that we got and the money that was raised, to ONLY get 3 per cent in the national election was a failure in my estimation. I think this election proves once and for all that philosophy doesn't matter, policies don't matter, and qualifications don't matter. Trump was nuttier than any candidate the LP ever ran for President. Johnson was better qualified than any candidate we've ever run. If you think he lost votes because he wasn't libertarian enough, I can point to previous LP candidates who were more pure yet less successful. If you think he should've been more conservative (e.g. the infamous cake-baking issue) I'll point out that Darrell Castle and Evan McMullin did worse. A bozo will win if he's nominated by a major party. A qualified person will lose if he's nominated by a third party. The problem is tribalism - loyalty to the major parties. The guys who left the LP and formed the Republican Liberty Caucus were saying this years ago. Sadly, they have not found success in the Republican Party either.